Most of you know by now how truly in love I am with not only this brand, but the woman who created it. 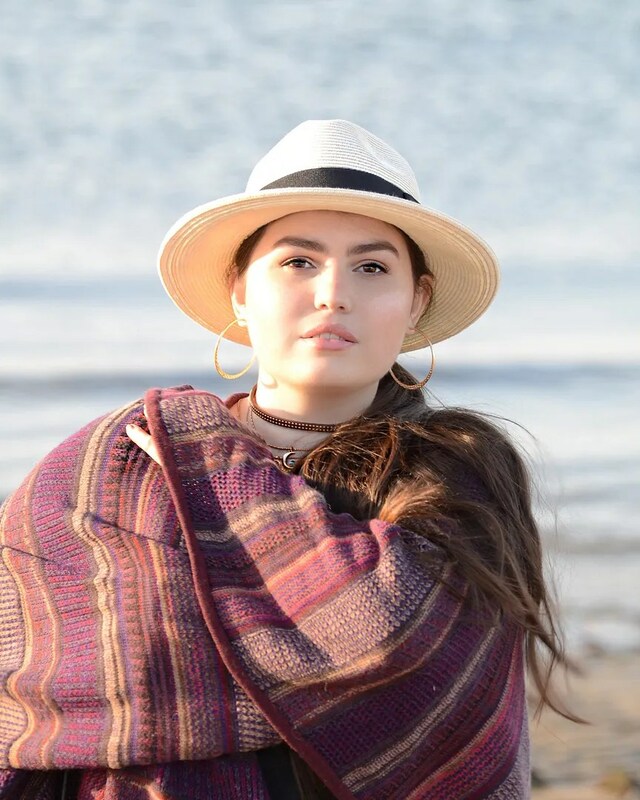 If you are lucky enough to get to meet May and her most beautiful family, then you will understand how this luxurious skin care company is a natural offshoot of her being and her natural lifestyle. She grew May Lindstrom Skin with tender loving care and attention to the smallest detail as if it were her baby as well. Not only is each and every one of May’s original formulations decadent in appearance, but the ingredients inside each, is as pure as it effective. She is truly a unique creator who has innovated a line different than any I’ve ever tried. The beautiful May Lindstrom. Would you just LOOK at her skin!? May’s Blue Cocoon reminds me a bit of her. It’s exquisite and delicate. You need the tiniest amount of this miracle blend for it’s effectiveness. This product really helped me with my sensitive skin. It contains calming ingredients that help irritation and inflammation. Perfect for adding to your regimen especially with the harsh winter elements wrecking havoc on our delicate skin. I even gave in and let my Mom share some of this delicious treat and it not only helped her rosacea but cured some spots of eczema! It’s packed full of powerful skin food ingredients like Blue Tansy Oil, Frankincense Oil, Virgin Marula Oil, Immortelle Oil, Schisandra Spenanthera CO2 Fruit Extract and many other Organic, Wild Harvested and Fair Traded ingredients. Let the experience of Blue Cocoon wrap it’s arms around you and give you a hug. The aromatherapy experience of the Blue Tansy will encourage all of your anxiety to just melt away! Our balmy blue enchantress greets your skin with cool serenity, melting on touch to a fluid potion that tenderly envelopes you in the most decadent azule calm. Mystical blue tansy eases feelings of emotional anxiety while releasing heat and providing nourishment and relief to delicate, inflamed and irritable skin conditions. The Ritual: Massage a pea sized amount into damp skin following cleansing. Please share your experiences with May’s products or what about this product entices you. I’d also love it if you could share your own skincare rituals. Is there anything you’d like to see May add to her line of products? I will pick the winner at random on 12/22/13 (just in time for the holiday’s!) and announce it back on this post! I have personally not used any May products due to the price of her products. I know with quality comes price, but I just haven’t justified splurging yet. I am currently using Osman Organics Simply Pure face cream morning and night and just finished my Rose soap. I’m super bummed about that! My face is so spastic that I find it hard to sample products. If I could ask May to make a new product it would have to be a creamy facial cleanser! Oh and maybe a product with SPF? I haven’t tried any kf her products but anything that is great for sensitive skin especially very dry sensitive skin like mine, I would love to try for myself. I have mostly changed my beauty routine to an all natural regimine, and am always looking for other options to add to my routine. I’m intrigued by this product. I have acne prone skin and I hope that this would help with the acne-causing inflammation! I am literally in love with every single one of May’s products that I’ve purchased. I’ve always dealt with breakouts and the Clean Dirt, the Problem Solver, and now the Honey Mud really help heal my skin everyday in addition to allowing me a luxurious, spa-like ritual in my own home. May has truly revolutionized the way I see skincare and she emanates this kind and generous light and I can really sense her love, passion, and dedication in all of her products. Needless to say, I love her just as much as you! So jealous that you’ve actually met. Anyways, the blue cocoon looks magical and my skin needs calming moisture, especially during this season. I’m sure it’s nothing less than incredible. In terms of what else I’d like to see, hmm, maybe a lip product??? I absolutely love May and her products (Problem Solver, Honey Mud, Clean Dirt). I have e-mailed her to get input on how best to use her products for my skin type and she is just the loveliest person. So nice that she is so accessible and though I know that continued success may change that I can’t think of anyone who deserves it more. I can’t wait to see what she has in store for us next! I love The Problem Solver, The Honey Mud, and The Clean Dirt. They are so luxurious and make a noticeable difference in my acne-prone skin. The Problem Solver in particular is what I turn to my skin gets out of control and I need it to calm down quickly. I love The Problem Solver! It smells great and does what it’s supposed to do! have been using it for a few weeks now and have noticed subtle changes to my skin- my pores look smaller, my black heads have begun to disappear and my skin has this glow. I love The Problem Solver! It smells great and does what it’s supposed to. I’ve been using it for a few weeks now and I can see improvements in my skin- my pores are smaller, less blackheads, and it has a glow. Hi Britanie! I honestly haven’t tried any of May’s products yet but I would love to try this since I have very sensitive skin that’s prone to breakouts. I really hope this would calm my skin down. Also, the ingredients are amazing! I currently cleanse my skin with the Shea Terra Rose Hips Black Soup and I follow up with the Eminence Sugar Plum Oil Free Moisturizer. Twice a week I put on a mask, such as the Sequioa Beauty Honey Enzyme Mask. A spot treatment from May would be simply irresistible for me! Please make one May! What entices me about this product (and her whole line) is that she takes the easily mundane skincare routine and turns it into a luxurious ritual. I love the idea of taking the time to pamper yourself, giving you happiness by giving back to yourself. And when you’re happy you’re able to give more freely to those around you 🙂 just everything about this brand seems exquisite. Hoping to try the blue cocoon! Being 20, I find May’s entrepreneurial and kind spirit very inspiring. It’s so refreshing to see someone who’s found their passion and was fearless enough to pursue it, while managing to keep an open mind and heart to those around her. I would love to meet May someday to ask her whether she’s had any setbacks throughout her journey and how she’s dealt with them. Being a student, my budget doesn’t really allow much, but I have treated myself to the Honey Mud a few weeks ago to gear up for finals week ;). My skin is adoring it (I’ll review it in a few weeks time on my blog). I also got a sample of the Good Stuff from Spirit’s shop and wow, that scent. May, please make a perfume of the Good Stuff. I, and others I’m sure, would adore that. I would love the opportunity to try the Blue Cocoon, as it would go so nicely with my Honey Mud cleanser. Keeping fingers crossed! I have only tried samples of the problem solver and clean dirt, but they were fabulous! I plan on buying full sizes when I can afford the splurge.. they are a little more pricey here in the UK though! I love the look of this beautiful blue delicacy! I suffer from painful under the skin blemishes at ‘that time’ and I hope this would calm them into submission.. and that I could have skin like Ms. May! What a beauty. I would love to see her develop a lighter serum or moisturiser for easily overwhelmed skin – the dream. I would love to finally try a May Lindstrom product. My budget doesn’t allow for a splurge for her stuff and my skin could use the TLC. Love May’s Clean Dirt per your blog’s recommendation! The whole line looks so luxurious! Looking forward to trying more! I have used her problem solver, clean dirt and honey/mud cleanser…..love them all. I would love to try this gift, as I have read it is great for acne prone skin and that would be me. Thank you May for your generosity. I have not used any of May Lindstrom products but they do look wonderful! 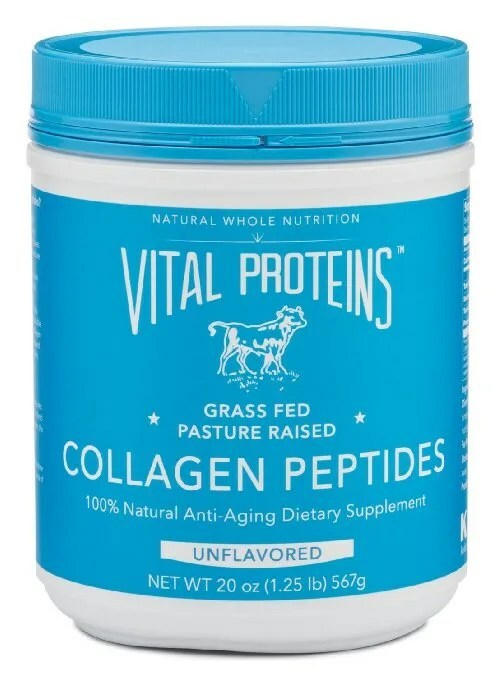 I love that her products are packed with nutrients and seem to be formulated to perfection! The Blue Cocoon seems like a very interesting product with great healing properties as it contains blue tansy (I’ve never used a product with this ingredient before!) which is great for irritable skin (exactly what I have!). May Lindstroms products seems so unique and luxurious and I would be running out to go buy myself some of her lovely products if I wasn’t in school! Currently my skincare routine is always changing as I am on the hunt to find new, exciting, natural or non-toxic products. Currently I am using the Body Deli with a moisturizing cleanser in the morning and a cleanser for acne in the evening. I always use my clarisonic at night and use the Aztec Indian Healing Clay one or twice a week to help keep my acne under control! Thank you Britanie for posting this review and introducing me to another great brand! This product is just such a beautiful object. And it sounds like exactly what my skin needs. May Lindstrom’s products are like art. My poor skin has been on a downward spiral over the last year with several diagnoses from 5 different derms (acne, folliculitis, Grover’s disease, and lastly concluded on stress-induced inflammatory acne). May’s Problem Solver and Clean the Dirt have given me hope and during the time I have the products on, I am able to actually relax–which Prozac and Xanax haven’t helped me achieve since this insane skin battle started. Britanie, I so appreciate your helpful tips about applying her fabulous products (like leaving the Clean the Dirt on for 10-15 mins). My husband is never surprised by what crazy concoctions I’m sporting, but it’s funny when he can tell the difference in color (“Orange today?”) is what he asks when I leave the Clean the Dirt on after a shower 🙂 I’ve been lusting for her products, but can afford to spend anymore for awhile with doc visits, prescriptions, and other doctor recommended products I’ve wasted my money on, ugh! I will definitely try this when I can. Thanks for the opportunity! Everything about May’s line seems so gorgeous! I’ve never tried any of her products but hope to very soon!! May seems like such a wonderful person, I cant wait to be able to purchase a few goodies from her!! I’m pretty new to clean products so I don’t really have a routine or ritual yet, I can’t wait to find the right products for my hormonal post baby skin so I can start one!!! I have that weird, dry, sometimes oily, and very acne prone skin, so this seems wonderful for calming and hydrating. Wonderful! Love reading the blog! What an amazing giveaway! I’ve been dying to try her line but haven’t gotten around to it yet, the Blue Cocoon has been on the list along with the honey mud, youth dew and the good stuff. My skin is a mess right now from the winter (Colorado) dryness. My current routine is washing with a DIY blend of oils (typically jojoba, sweet almond oil and lavender) and a Pai muslin cloth at night followed by the gentle solution from Arcona or Pai’s rosehip oil. Morning is a gentle swipe with the cloth or Arcona’s brightening gromage (a great scrub) followed by Blissoma’s serum and Weleda’s rose moisturizer. On the body is a DIY blend of oils followed by a body butter. Thank you so much for this awesome giveaway, Britanie! What a special treat for anyone who wins. I’ve been wanting to try May’s products for a long time now, and am just waiting to use up my current arsenal to get either the Problem Solver or Clean Dirt. What drew me to May’s products first was I think May herself! I’ve read a lot about her story, and I love the intent behind the products, the simplicity but luxury of the routine, the products, the packaging, everything! I think the Blue Cocoon would be a great intro to the line though; winter in Colorado gets pretty rough for the skin! Thanks again! I haven’t tried any May Lindstrom products before, but would love to. I love the short ingredient list and glowing reviews. My skin is dry, sensitive, and somewhat prone to breakouts. It seems like this product would be both soothing and healing. May’s Blue Cocoon looks like the ultimate green beauty product! The colour is an invitation by itself. I am sure it would be a real treat to my sensitive, freckled skin in the harsh winter conditions, but also after a day in the sun in the summertime. I already love using The Problem Solver and the Clean Dirt, and I’ve recently discovered the wonderful Yüli elixirs. I keep my skincare to these basics, along with organic jojoba oil, coconut oil and raw honey. An eye serum would be a beautiful addition to the May Lindstrom Skin line. Thank you so much for holding this giveaway. I haven’t used any of May’s products but I have been in touch with her to ask some questions about the Clean Dirt. She was very helpful, knowledgeable, and super quick to respond. I used to use the Sunday Riley Ceramic Slip to cleanse my skin and I would moisturize with Clinique’s Moisture Surge. However, I’m currently trying to move towards more natural and organic skincare products. So far, I’ve discovered One Love Organics Elizabeth Dehn cleansing oil, Neal’s Yard moisturizers, and Tata Harper serums and hydrating sprays. I’m greatly impressed by how much adopting a more natural skincare routine has helped me combat my dry patches and hyperpigmentation problems. I would love the chance to try out May Lindstrom’s products; I love the story behind her line and from my experience emailing her, it’s clear that she’s very passionate about what she does and puts a lot of thought into her products. Blue Cocoon seems magical and ethereal — it has been on my wish list for a while and I’d love the opportunity to try it out. Thanks again for holding this giveaway! I have sensitive combination skin and the hard water in my area doesn’t help. In fact, it causes very dry skin! My hard-water-apartment-limitations struggle is ongoing, but in the mean time I would love a luxurious (healthy) moisturizer like this one to ease my pain 🙂 I also want to try the problem solver! Thank you so much for this gorgeous giveaway! I haven’t tried anything from May yet, but her skincare brand is definitely on my wishlist! Everything looks delicate and effective! I think the Blue Cocoon would be great on my very sensitive and dry skin as I live in a cold and windy area. I have also noticed my skin was irritated (I wonder if i am not developing a peri oral dermatitis 😦 ) recently. So I try to put less on my face lately, I wash my face with a Konjac sponge at night and trying some Pai Skincare face cream samples. I just recently got a sample of Clean Dirt, and I loved it!! I’m saving to buy a full size, and I also want to sample The Problem Solver. I think this balm might work for me because my skin is a mess right now from hormonal acne, and I could use something to ease the rawness and dry quality of my skin right now! I have never been able to try any of May’s products, but they all sound so lovely! I’ve wanted to try some for a while now. I would love to try this balm because I have seriously sensitive skin, and this balm sounds very soothing and hydrating for this time of year. I am prone to eczema on my face, which is miserable, and this product sounds so soothing. Great giveaway! I have never tried her products, but would love to! This entices me because my skin definitely needs calming. I love May’s line. The Problem Solver is so wonderful. I also love The Blue Cocoon- it calms my acne inflammation like nothing else. A hot bath is a favorite beauty ritual. I’ve been using The Honey Mud for about two weeks and I absolutely love it. It’s smells so good that I’m tempted to eat it every time I use it. I have really sensitive skin so I’ve always had to be very careful what skincare products I use, but I have noticed that since I switched to more natural products my skin is not nearly as irritable as it used to be. The Blue Cocoon is definitely next on my list of products to try. The only May Lindstrom product I’ve tried is the clean dirt, which is great. I have really sensitive skin that can get a bit flaky and I find this is just exfoliating enough to make my skin soft without irritating it. My current routine is to wash with bumble and bee’s pineapple face wash, spray my face with Yonka toner for oily skin and moisturize with a few drops of jojoba oil mixed with a drop of living nature’s Manuka oil. I also exfoliate a couple times a week with various products. I would looooove to win the blue cocoon and add that to my routine! I have never tried one of May Lindstrom’s products, and I am absolutely dying to! She seems like such a beautiful, graceful human + her concoctions seem utterly grounding and yummy. Unfortunately I can’t afford any of them right now, but I would be over the moon to try the blue cocoon beauty balm. As a twenty-two year old with college loan payments and a limited budget, I haven’t used any of May’s products yet…but I sure would love to. I have oily and acne-prone skin, and I’m always looking for something natural to cure me. May’s products remind me of couture fashion–the way they’re so personal and created with the individual in mind. I’ve never tried May’s products, but I hear they are amazing and I would love to experience her line. Currently I am using Waxelene to take off my makeup and TANF face foods and so far so good. Being in my early 30s, I really need to start using an anti-age product. I would really love to try Mays line. Thank you for the giveaway.. I have not tried May’s products, but have been lusting after her entire line for months now. I would really like to try the Blue Cocoon in particular because my extremely sensitive skin is having a heck of a lot of trouble this winter. I’ve had eczema since I was a baby, but the last few months my skin’s condition has been worse than ever and I now have a red, itchy patches everywhere, including my face. It sounds like this product could provide some much needed relief and TLC to my skin. Thanks so much for the chance to win. This is sure to be a popular giveaway! Hard NOT to be charmed by May and her products. I am a big fan of The Problem Solver. Just used it today over the last bit of Honey Mud I had. My skin has gone a bit haywire (acne, redness, dryness) and using her mask, pure honey, or the Honey Mud seems to heal and treat both my face and my nerves. I am intrigued by the Blue Cocoon’s color and texture and its promises to soothe, calm, and hydrate. I like the idea of a MLS lip product or repair serum. I’m definitely excited to see what else she creates. Thank you, Britanie & May! I would love to try May Lindstrom’s products but have yet to, due to the price and also because I am located in South East Asia. The Blue Cocoon sounds like the perfect balm for an eczema sufferer. I’m down to the last little bit of my Lina Hanson Global Face Serum, which has marula oil in it– I have loved it and would love to try a new product with marula oil in it! Right now I have the Honeymud and Clean dirt and have been loving both. I absolutely love ALL of the May Lindstrom products! I can’t wait to add this to my ritual. I love all of May’s products. They are so luxurious, and yet effective. They always feel like a spa experience in my bathroom after a busy day, and make me feel that I am taking time out to take care of myself. I have really dry and sensitive skin, and winter really exacerbates the dryness, so the beauty balm sounds like the perfect thing for winter skin! I have yet to try any of May’s products, but I am super interested! I know her line is super high quality, but I’m not sure which to go for first – everything looks amazing and is packaged so beautifully. I have never tried her products but this balm looks gorgeous. I’m particularly interested because my face has become quite irritated as of late, even with organic products! I’ve been using a serum by Alba Botanica and my face often feels very hot and looks red and flushed after application. I have had similarly unfortunate reactions to my Nature’s Gate serum. Would love to try this luxe product and see how it can offer some relief! Thanks so much for the opportunity! Like many other readers here, I haven’t tried May’s products. I am just starting to learn about the importance of using natural beauty products, and the more I learn the more I am inspired to make these changes in my life and to help others make changes in their routines as well. I have tried to incorporate some changes into my routine already. Basically, I’ve decided that it’s better to use minimal products (when I can’t afford better ones) than to use products with harsh chemicals/toxins. I am using Trader Joe’s tea tree oil face wash morning and night and moisturizing with Olay beauty fluid. My skin looks and feels a lot better than when I used other products like Aveeno. Thank you! I’ve splurged on the Youth Dew, and love using it at night after cleansing with Earth tu Face. I’d love to try the Blue Cocoon especially with the drier and cooler weather. I have yet to try Mays products although I would love to. The cost is prohibitive for me on a veterinary interns salary. This product in particular speaks to me because I am emotionally drained at the 1/2 way point in my internship. I work very very long hours with little sleep. As tired as I am and as emotionally drained as I am, I am not complaining because I have one of the best jobs on the planet. I heal the furry members of people’s families and it is such an honor. This product would be supremely beneficial to my daily ritual because it will serve as A reminder that I need to take as good a care of myself as I do my furry patients and the people they belong to. Thanks to you and May for this opportunity. Wow, this is a wonderful giveaway! I haven’t yet tried any of May’s products yet but I’ve had my eye on her whole line for quite a while- it’s on my Christmas wish list! In addition to the gorgeous color of the Blue Cocoon, I’ve heard only amazing things about the balm and it seems like just the trick for my sensitive, irritated skin! 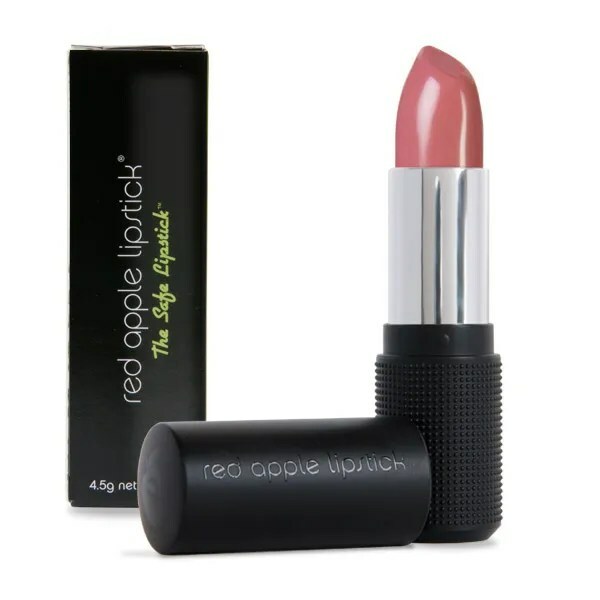 I’d love to see May add lip care products to her line, as well as fragrances- I’ve heard her products have absolutely intoxicating scents. My skin type has always been sensitive, normal/dry but recently it’s become extremely sensitive with almost uncontrollable breakouts and I haven’t been able to figure out why. I’ve switched to a clinical care line that has helped get rid of the acne, but I’m left with rather scarred, irritated skin so I’m looking to switch to a 100% natural skin care routine. I’ve already made the jump to natural make-up products- RMS and Ilia are my favorites! Thank you for this beautiful giveaway, Britanie and May! This balm sounds like heaven for my skin! I have been trying to find a good regimen for my skin and I am currently using a natural and organic line of products from Progress in Health. I am pleased with it so far. This balm really sounds like it will take your skin care regimen to the next level. A big thank you to you and May! One day, I hope to be able to try her products. ingredients and innovation.my excitement is tangible for both The Honey Mud and The Blue Cocoon; I’ve been positively salivating over all the photos she shared of them on instagram.My skin is behaving worst this season so I would loove to have this balm.Blue cocoon is truly unique in the best way possible. Is there anything you’d like to see May add to her line of products? Honestly I think a beauty routine has the power to be very relaxing and restorative, or at least I find mine is. I really do enjoy taking the time at night to wipe the dirt and grime of the day away. It’s totally indulgent I love taking long baths and just pampering myself. I feel so rejuvenated when I’ve used some coconut oil on my hair, used a mask on my face, and just scrubbed myself down in the bath. I think really paying attention to what you feel will really bring you peace and restore your mind. In morning i clean my face with delicate facial cleanser from this luxurious ayurveda brand FOREST ESSENTIALS .It contains pure raw honey,rosewater,lemon oil ,nutritious royal jelly and bee pollen .love this stuff,exfoliate with forest essential tejasavi ubtan,followed by a rose mist (like you i am fan of roses too :)) and FE eternal youth formula cream. I love using SBT soothing salve on dry areas on body too. Thank you for the great review! I’m in love with May’s line. The whole philosophy of making raw, organic products to heal skin from inside is just beautiful and natural. I use The Clean Dirt and it’s perfect for balancing my oily, sensitive, acne-prone skin. I use it daily or alternate with pure manuka honey wash and exfoliate with konjac sponge. The Blue Cocoon seems like a really good product with an interesting concept. 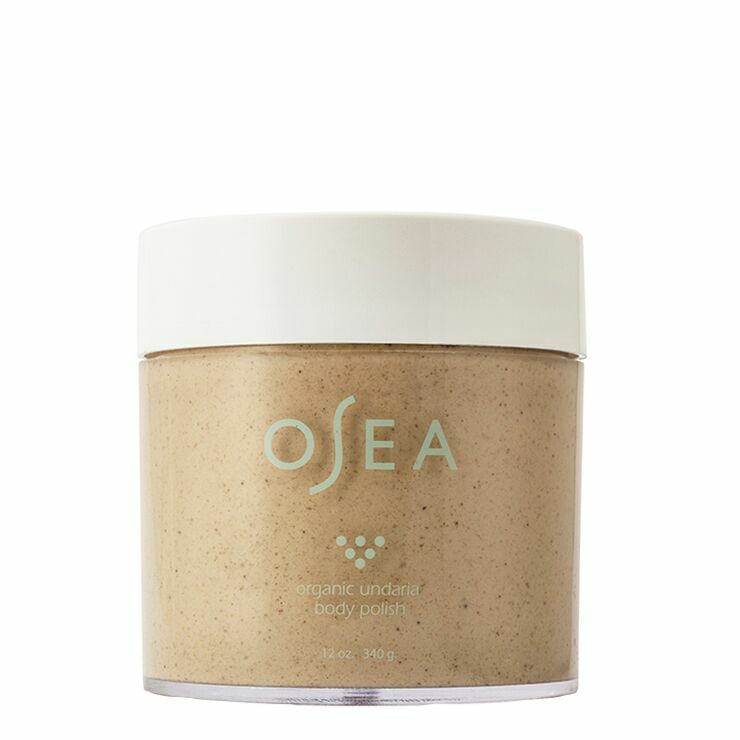 To calm, soothe and nourish sensitive and reactive skin conditions. I also suffer from under skin breakouts and hope it will help heal them. P.S. Is this giveaway international? I have never tried any of her products but I have already ordered The clean dirt because I love the philosophy and the ingredients. I would really love to try this balm, especially because lately I had some problems with very dry spots on my cheeks. The balm really looks like something that could help me with these! I’ve tried the Complete Skin Experience pack and it’s a wonderful experience. I’m in love with all the May Lindstrom products, so I have the Blue Cocoon and the Honey Mud in my wishlist. It would be a magic gift to win this peaceful balm. I’d like a cream moisturizer and a mist from May to complete the amazing range. Britanie, thank you for this opportunity and good luck to all! I haven’t tried any of her line yet but it sounds amazing! My skincare ritual is always changing, but right now is Boscia Cleanser and MVO Facial Oil – I keep things simple. Thanks for hosting this great giveaway! I tried the Problem Solver, but the spices in it were too strong for my skin and the burning sensation was a little more than I could handle. I would love to try this since the ingredients are gentler and it seems like it might tone done the redness on my cheeks and chin. It looks like rosacea, but it isn’t. I don’t have a much of a skin care routine. I received a teeny tiny sample of this balm with my very first order of May Lindstrom products. It was my absolute favorite and I’ve really been missing it since the sample ran out, particularly as the weather has gotten colder. Her products are incredible and she is so generous, kind and accessible. I think a lip treatment and a perfume would be excellent additions to the line. Oh this does sound lovely, I’ve never tried her products before! I’m such a sucker for a new-to-me, natural product, and this one looks so silky and sounds like it smells amazing! I have just been using jojoba oil with essential oils in it but I always love to change it up. I’m in love with the brand’s philosophy for as long as I can remember! But I have never tried her products, I’d love to try this gem out, as well as the clean dirt. What an awesome giveaway, I’m spechless here, swooning over this product :)! I’ve not had the chance to try any of May’s products yet, but this calming balm sounds great! 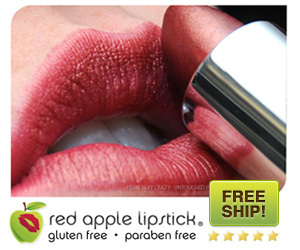 I’d love to try it on my rosacea-prone cheeks…thank you for the opportunity! I have been intrigued with May’s products and would love to give some a try, but I can’t afford the price tag. I have no doubt they are worth it, just not something I can manage at the moment. My skin has been so dry this winter and I think this balm would be perfect. I have used May Lindstrom’s Clean Dirt for about 6 months now; I love her products! The ingredients are so pure, and they are very effective. They smell delicious, too! I do love the idea of the Blue Cocoon, as it sounds so soothing. This time of year, my skin could use a little TLC. This is a fabulous giveaway! I would love a chance at winning this! My skin has always been very sensitive/reactive and I’m still searching for my HG moisturizer that doesn’t also break me out. What I love about May is her attention to detail as well as the aspect of ‘ritual’ that she imbues her line with. The idea that we can take a time out from our busy lives to just focus on the sensual, the moment. That really is the most beautiful aspect for me. Thank you for hosting this giveaway! I love May’s products! I splurged and ordered the problem solver recently. I have used it for the past 3 weeks and love it. I have had my eye on this balm, it sounds wonderful, especially for my dry winter skin. I have been using Pai and Dr. Alkatis for a long time and love them both as well. It’s so hard to find great skin care products that actually work. So far i’ve been really impressed with the May Lindstrom line. Thank you for the opprotunity to win this! What a lovely giveaway! I haven’t been able to try any of May’s products quite yet (but I have my eye on a couple as a finishing-my-degree treat! ), but I think what interests me the most about The Blue Cocoon is its mix of ingredients that are familiar to me and some that aren’t so familiar. It sounds like a wonderful, gentle product that would work well with my sensitive skin. As far as my current skincare routine goes, I try to keep things as simple as possible. Right now, I’m enjoying the cleansing oil and toner by Elizabeth Dehn for One Love Organics, Osmia Organics spot treatment, and Acure Organics marula oil. I am dying to try May’s products, especially Clean Dirt and now Blue Cocoon. I just recently made the switch to clean products. Still trying to learn more about all these products and what would be good for my mature yet acne-prone skin. I haven’t tried anything in May’s line yet unfortunately. But I’ve read a lot about the products in your blog and other blogs. I’d love to give them a try and this blue cocoon item really intrigues me! I have very dry skin in the winter and slather myself with balms/oils/etc to ensure that I don’t look like a prune and get all itchy! I bet this product would be great. In the past year I’ve been changing over my products to organic lines. I use One Love Organics, Osmia Organics, CV SkinLabs, Dr. Bronner’s, Acure, Pangea. I’ve loved finding great products that don’t contain crazy chemicals. I have never tried a May Lindstrom product but I would really really love to. The Blue Cocoon looks simply divine and delicious and the idea of such exotic additions like Blue Tansy oil and frankencense being in it really excites me! I also tried a friend’s jar of Clean Dirt as well and fell in love. May also seems like a lovely person and I feel like anything she makes will automatically be wonderful. I love your take on these products, Britanie—you look at beauty as this nourishing wholistic ritual of wellbeing + I always feel calm and inspired when I read your posts (I actually tried your lemon + raw honey mask the other day and literally glowed. I shared it with a few friends). I have never had the honor of using any of May’s products. I am newly beginning to take care of my skin, and the price is more than I can justify spending at this time. But I would be absolutely ecstatic to own one of her skincare products! The Blue Cocoon Beauty Balm Concentrate sounds like something I could use. I have super sensitive skin which has been kind of upset with me due to the weather. -DRINK WATER! This is good for my health, and I can see the effects in my skin too. It makes such a huge difference. I’ve been dehydrated lately and you can see it in my face (my lips especially). So I’m still sorting it out, and your blog has been really helpful. I’ve found some products that really help, as well as general skincare tips. I’ve never had the chance to order any of May’s products, as I’ve just recently learned of her. I think it’s the icy blue colour of this product that is really enticing, along with the overall look (packaging included). All of May’s products look so luxurious that they are almost like a work of art. I take skincare really seriously. I love cleansing with the Tatcha oil and then finishing up with some Caudelie water. I then do a toner mist, serum, cream. I am always on the hunt for moisturizer that is hydrating but doesn’t break me out. I love using the Tacha cleansing oil to take everything off. Then I use a ren serum and cream. Great giveaway:) Her products are a bit pricey so haven’t tried any but i love the ingredient list with loadsa oils and that it provides a spa like experience following the usual cleansing routine.I’d love it she could introduce a budget friendly range:) my skin care routine is quite basic washing the face with only water in the morning followed by spf moisturiser and a complete cleanse in the evening with a mild soap free bar and once a week yogurt and honey mask and a weekly sugar exfoliation. I have yet to try her products, but have heard nothing but amazing things. I would share my skincare routine, but it changes daily! Beauty without cruelty gel face wash, John masters Rose & Aloe mist, either argan or rosehip oil, and in the winter I use Dr. Haushkas Rose day cream. I try to use Ren’s Glyoctic face mask for gentle exfoliation a couple times a month. Lastly, Hurraw’s night lip balm is the nicest most moisturising lip balm I’ve found in years. It has avocado oil and smells like vanilla. I put it on before bed and its still on when I wake up! Thanks for doing this giveaway Britanie! This balm looks amazing. Never tried any of Mays products but would love to. She really knows how to name her products well.Right now my routine is badger rose oil in the morning and then juice beauty cc cream. At night I clean with a coconut cleaner and pai rosehip. I personally love using May’s clean dirt as a mask/cleanser. I absolutely love the smell of this stuff!! My daily routine starts with either manuka honey cleanser or kahina giving beauty cleanser. Then I spray Kahina toner with their argan oil mixed with sibu buckthorn oil. If I am staying inside all day then I will finish the routine off with CV labs calming moisture (I LOVE THIS STUFF TOO). If I am going in the sun then I use Suntegrity Tinted Moisturizer. Thanks for the review & the awesome opportunity to win this little beauty! I have read such great reviews about the Blue Cacoon and would absolutely love, LOVE to try it out! I came across May’s wonderful line while researching for skincare products that were natural, yet effective. Mays products make you feel like you a having a mini spa treatment at home. Her bottles and jars are gorgeous by the way. I would love to see May design a lighter weight facial oil or maybe a lotion type facial moisturizer and lip balm. Right now I cleanse my skin with the Clean Dirt every other day to every 2 days as an exfoliator. I alternate it with the Honey Mud- which smells like tootsie rolls and leaves my skin feeling so so soft afterwards. I use the Problem Solver once a week to decongest my pores, leaving my skin porcelain clean. Then I follow up with a moisturizer and I’m done :). 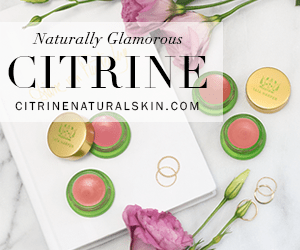 I`ve never tried the May Lindstrom Skin products, but I really would love to, after all loving review from you and other natural beauty bloggers. I have some excema, and would be great to test if it could help with it. + I`m really exciting for the scent. My beauty routine at the moment: MVO cleanser, mist and face oil. All smell divine ;)! What an amazing giveaway! Every May Lindstrom product is so unique – and effective! If I could suggest any product, perhaps a hydrosol, but May seem to come up with amazing products on her own! I find that skin care rituals with lovely scented, organic products are my favorite way to relax and unwind after stressful days. It helps you to take a deep breathe, get a positive outlook, and feel better about yourself. wow, this is amazing and I am going to join. I have been sampling a variety of organic cult products lately and May Lindstrom is one of my favourites. I really like her Problem Solver but most “the Clean dirt” with a dash of dilluted Manuka honey for that superclean & relaxed feeling. I have not tried any of May’s products yet but love her entrepreneurial spirit and her commitment to clean ingredients. 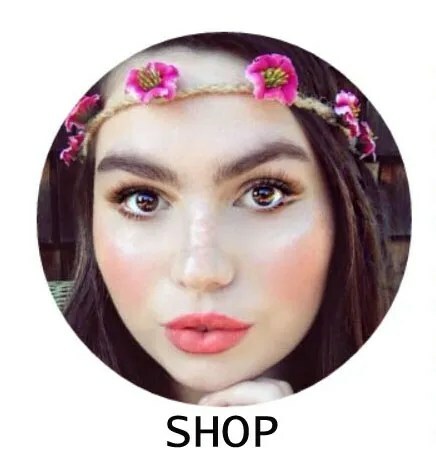 I think it would be fun to see her add an eye cream. I too love researching this kind of stuff and discovering new brands or making my own. I currently use a multi purpose body oil I make to remove my eye makeup and then cleanse with Manuka honey. I use an Evan Healy toning mist and then apply a facial oil that I make or the BioRegenerate Rose Oil from Pai. I also use the Pai eyecream. In the morning I use a vitamin c serum form 100 % pure and a moisturizer from Pai. Britanie! I’m so happy you reviewed the Blue Cocoon! I’ve been dying to try it because this winter has been severely drying out my skin. I’ve heard that blue tansy is extremely soothing for these kinds of skin conditions, as well as calming redness and irritation. Some of my skincare rituals includes applying my sunscreen, eating flax seeds, doing yoga and giving myself facial massages. I’m fair, so I burn really easily. Sunscreen keeps my skin from turning to a crisp. I love using creams that incorporate zinc (the safest mineral UV shields), red raspberry seed oil (a study indicates it has an SPF of 30-50) and astaxanthin. Eating flax seeds prevent zits before they ever appear. They have a special combination of lignins and omega 3’s which do wonders for my comlexion. Thanks for having everyone share their rituals. It’s so great to read everyone’s stories. I love you blog! 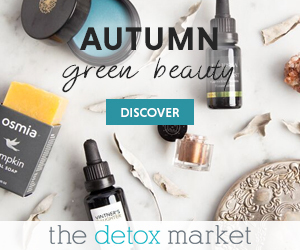 And I hope I get to meet you at A Night For Green Beauty this year! I’ve tried all of May’s products except the blue cocoon. I love all of them, but my favorite is the clean dirt. I think a toner would be nice, but May has already anticipated that with the jasmine garden (a toner that will be released spring 2014. May is gifting samples of this toner for every purchase of the honey mud mask or blue cocoon on her website). I’ve adored the products I’ve tried from May! I have The Clean Dirt and The Problem Solver, and I ordered when NMDL/May had the promotion for The Honey Mud going on. All three products have been incredible for my skin. I have serious skin issues, combo/oily, acne prone, and sensitive. I was so wary of using the warming products on my face at first only to be amazed that they calmed my skin rather than bringing out more redness. I’ve been dying to try The Blue Cocoon. After the holiday season is up comes by busy season at work. I know I’ll have to get it regardless in January or February to ease the stress of work! Hi Britanie! Thank you for the lovely post! I discovered May’s products this summer and ordered the Clean Dirt and the then-debuting Honey Mud. I have SO enjoyed having them as a part of my clean beauty routine. I use them each a couple of times a week, and mostly when I am wanting an extra glow! [As an example: I used the clean dirt before an interview I had recently, got the job 🙂 and then did a honey mud mask before my first day of work! I felt pampered and fabulous!] Both perform unlike any skin product I’ve used before, which is stimulating and exciting, and they both feel like they really get into my pores without being drying. I alternate them with Desert Essence Thoroughly Clean Facewash (which I never thought I would like but my boyfriend had it at place and I tried it and was hooked! ), and Soapwalla’s Activated Charcoal & Petitgrain Soap Bar, which is so lovely. May’s brand is by far the most enticing of all of my skin care lines, SHE IS A SIREN and I am LURED to her new products! They are just so one of a kind and I love all of the focus on the aromatherapy experience and the ritual of it. So lovely! I feel so lucky to have a little bit of her generous spirit in my beauty routine. Hi Britanie! Thank you for the lovely post! I discovered May’s products this summer and ordered the Clean Dirt and the then-debuting Honey Mud. I have SO enjoyed having them as a part of my clean beauty routine. I use them each a couple of times a week, and mostly when I am wanting an extra glow! [As an example: I used the clean dirt before an interview I had recently, got the job 🙂 and then did a honey mud mask before my first day of work! I felt pampered and fabulous!] Both perform unlike any skin product I’ve used before, which is stimulating and exciting, and they both feel like they really get into my pores without being drying. I alternate them with Desert Essence Thoroughly Clean Facewash (which I never thought I would like but my boyfriend had it at place and I tried it and was hooked! ), and Soapwalla’s Activated Charcoal & Petitgrain Soap Bar, which is so lovely. May’s brand is by far the most enticing of all of my skin care lines, SHE IS A SIREN and I am LURED to her new products! They are just so one of a kind and I love all of the focus on the aromatherapy experience and the ritual of it. So lovely! I feel so lucky to have a little bit of her generous spirit in my beauty routine. My suggestion for her future products would be to continue introducing these imaginative products that I could never dream up on my own! I don’t have any of May’s products but I think my first stop should be the honey mud and… BLUE COCOON. I use almost exclusively DIY products but her line is the only one that I have any desire to stray to. After washing with manuka honey and a konjac sponge I layer a DIY oil blend (rose hip, passionfruit seed, and pumpkin seed) with a rose hydrosol from a local shop and whipped shea butter. So good but I have a feeling that Blue Cocoon in place of the shea butter would be out of this world. I have not tried any of Mrs. Lindstrom’s products but the first on my list are honey mud and blue cocoon. I use almost exclusively DIY stuff but her line makes me want to stray. I cleanse with manuka honey and a konjac sponge then layer on a DIY oil blend (rose hip, passionfruit seed, and pumpkin seed) along with a rose hydrosol and whipped shea butter. I have a feeling though that the blue cocoon would take my routine up about 11 notches! I would love to try this product. It’s always a guessing game with sensitive skin, so I love to hear about a brand with such a commitment to quality and effectiveness. The products look SO luxe, too! And yes, a spot remover would be nice, as well! I love May’s products! I currently use her complete skin experience box(worth every penny)! My favorite thing to do with her mask and clean dirt is to mix it with them with raw honey(love those added benefits).The oils are to die for! My skin shimmers & lingers of cocoa with the good stuff and rejuvenates with the rose scented loveliness of the youth dew. Even the bowl and brush scream pamper yourself. This is one of the best lines out there!! I have yet to try any of May Lindstroms products, but I would like to! I am really intrigued by the problem solver mask! I wish she had a treatment serum geared towards acne prone skin though. I personally use my Clarisonic, Rd alchemy’s gentle cleanser, Osmosis StemFactor and Vassuer Mandelic serum. I lust to try May’s products, but can’t afford any of it unfortunately. My ritual is ornate and I love to adorn my skin with nourishing oils and hydrosols. I stay away from creams, but will use balms when my skin craves them. Primarily I stick to oils (home-crafted or evanhealy), as I find the fulfill most of my skins needs. I cleanse with coconut oil or honey, and do weekly shea butter and clay masks (at different times). Hi Britanie! I’ve always wanted to try May’s products, but it was always out of my price range. My husband thinks I’m crazy to be spending money on skincare products anyways. This product looks perfect for me, I’m starting to get really into balms since my skin gets very very very dry in the winter. I have crazy sensitive skin that’s dry and acne prone which is horrible and very hard to manage, because you use something to moisturize and then you breakout and then when you use something for the acne it dries my face out, and we go around and around in circles. I would just like to find something that works for my skin, in the past year I’ve tried sooooo many things that were supposed to work but for some reason didn’t. I’ve tried Annemarie Gianni, Stark, Juice Beauty etc. I just stopped using Stark’s products because my acne was starting to get out of control, my skincare routine right now is just sweet almond oil with tea tree oil and the CV skin lab restorative balm. I would like to see a spot treatment product from May’s line. The Blue Cocoon looks like such a sweet, soothing treat for the skin. For lack of a better way to phrase this: I’m dying to try it! I’m so thankful May created her line of natural & effective products to share with the world. As far as my experiences with her products: they have been life-changing for me. To be honest, they are out of my price range – but I am passionate about natural skincare and my sensitive, acne-prone skin begs to be pampered. When I opened my package so obviously packed with care by May, I could just feel her sweet, positive energy radiating from it. I unpacked each item carefully and sampled a bit of everything – mixed a spot of Clean Dirt with Honey Mud, followed with a drop of Youth Dew and, later, could not help but try the Problem a Solver even though I worried I might overwhelm my skin (it didn’t). Before bed I went back to marvel at her products on my shelf: I didn’t feel any energy coming from them. This is when I realized that my inside needed to be healed & cleansed just as much as my outside! Since then, I have been making a conscious effort to be the type of person that radiates that positive energy: to be more patient, more truthful (with myself and with others), more helpful, more kind, more appreciative and more mindful of the way that I am communicating with the universe :). As far as a product I would like to see added to her line, I would have said facial spray is a must! But from what I understand she’s working on officially releasing her wonderful jasmine potion that she had been so kindly sending out as a generous sample. Beyond that, I’m not sure. I kind of appreciate how small her line is. I really, really want to try her body oil and The Blue Cocoon. Thank you Britanie & May for offering this giveaway and Happy Holidays! After a very tough year dealing with a medical condition called histamine intolerance, I became sensitive to not only several foods but also to my (toxic) makeup! 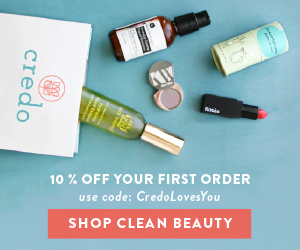 I switched to green beauty this year and am not looking back! I would LOVE to try May’s luxurious products. I’m interested in this product because my skin is very sensitive to this winter weather and I would like to see if this might bring some of the glow back. One of my beauty rituals is using honey and lemon on my skin. Thank you for the chance. I haven’t tried anything from May yet, but I’d love to use this cream, as I have very dry skin and I find difficult to get good textures in organic products. I have changed to natural products last year and my skin is much better, right now I am using “trevarno” products which I consider wonderful and reasonably priced. I believe organic and eco-friendly is the way to go for us and for our environment. I also like to buy handmade stuff too. Love her clean dirt! She’s a genius. Has made me love taking care of my skin. Unfortunately, I’ve never had the chance to try May’s products since they’re just too expensive although if she had a lil sample/travel kit I would buy in a heartbeat! I’ve been eyeing her new products as well as the clean dirt for my acne prone skin! My skin is recently irritated with red/flaky patches (I think I over baking soda’d it) and it looks like the blue cocoon could help soothe that! I’ve been trying to transfer all my skin care products one by one to all natural stuff. Currently using origins checks and balances (have for forever, recently tried shea terra rose hips black soap which I loved but didn’t keep the breakouts at bay like origins does), 100%pure hydrating tonique (just started this a week ago, the verdicts still out but it’s not super hydrating and it smells like vitamins lol), osmias spot ttreatment (still not sure if I like this or not, it took some time getting used to the smell for me and can’t quite tell if it helps or not) and missha’s snail cream (been using this for the last 6 mos Bc I like how hydrating it is and it feels like it helps keep my breakouts away! But I would like to find a cleaner product!). I’d say that does it for my skin care ritual! I’d love to have the chance to try some of Mays products as everyone raves about them! The Blue Cocoon sounds gorgeous! I think it would work really well as an eye balm instead of eye cream. I use coconut oil around my eyes because they get so dry and the eye creams i’ve tried have irritated my skin. I love the Problem Solver masque. It’s decadent and makes my skin glow — It also helps to clear up any blemishes on my acne-prone skin! I would love to be able to win this for my sister for the holidays! She has really sensitive skin + has a very hard time finding good products. She was washing her face with the oil cleansing method after a very long trial of some other (kind of cheap because she’s on a budget) products but after a lot of effort it kind of stopped working so she gave up and started using cetaphil :(. and I think she would be so thrilled to be able to use something so luxurious and nourishing. I don’t know too much about May Lindstrom’s products but I just checked out some of her videos on her line on youtube + she seems so thoughtful and lovely + clearly makes her concoctions with lots of love. I think it would be wonderful if May could make a yummy lip balm, too! Hi Britanie – what a great opportunity – thank you to you and May! In fact, it was your reviews of The Problem Solver that made me purchase that product! Thank you!! I have had fantastic results using it once a week – it has really helped to reduce my breakouts and heal my skin. What is amazing is that it is unlike other mud masks in that it doesn’t dry out my skin or cause new breakouts (purging)! It just clears old dead skin cells and adds such a clarity to my skin! I have been dying to try more of May’s line and with my extremely sensitive, dehydrated and acne-prone skin- Blue Cacoon sounds like exactly the product I am in need of!! What I most want to add is that- like you said, May herself is just awesome! I emailed her directly to ask some questions when I first received The Problem Solver, and she responded immediately and with such a warm, open and kind tone. She really cares so much about her customers and the end result. As do you, Britanie. Thank you both for all you do to help others -and for your beauty inside and out! I’ve tried samples of the clean dirt and problem solver and they are amazing! I can only imagine how amazing this new product is to use. May’s products truly do invoke a sense of ritual and taking a moment for yourself (it isn’t just marketing!!) which is a testament to her care and development in her products. While i haven’t yet tried May’s products I’ve heard only good things and they sound amazing! My own skin routine consists of cleansing with almond oil and a warm washcloth at night followed rose water and DeVita Evening Rich Nutritional Moisturizer. In the morning I rinse my face in the shower and follow with the same moisturizer as well as DeVita Solar Protective SPF. I’ve used the Clean Dirt and Problem Solver. They both smell nice and the packaging is without equal in terms of luxury. However, neither product is really an everyday sort of product; they’re just really strong, which is nice for spot treating, but less practical for a daily routine. I’m hoping the Blue Cocoon is both gentle and effective. Awesome giveaway! I love all of May’s products. The Clean Dirt and The Honey Mud hold a special place in my heart because they work better than any other product I’ve ever used on my acne. Of course all her products work better than most conventional products and even natural products I’ve ever used. I am just now starting to realize the benefits of balms, after being scared of using them on my skin for so long. My skincare rituals have lately have consisted of double cleansing, a weekly mask and lots of fun serums/oils. I’m going to be honest – I haven’t tried any of May’s products. But I have definitely kept my eye on many of them ever since I discovered their products from your Instagram and reviews. I started to become interested in paraben-free products after learning the harm they could do, and through that search found more and more organic and natural products that seemed just as good as mainstream. My acne also got really bad these past few months and have tried everything from popular mainstream ‘fixers’ and dermatology given medications, but nothing’s helped. Thankfully, I am currently trying something that seems to help and well to make this shorter, I am looking for organic skin care to start my journey into a more healthy lifestyle! And what you described seems perfect! I suffer from Anxiety and Depression, and its description of soothing emotional anxiety away really caught my eye, as well as the marula oil ingredient 🙂 overall it sounds amazing! Of everything May does, what she accomplishes exquisitely is the concept of self care and ritual; of embracing individual beauty focused on a feminine sensuality instead of a focus on lack or insufficiency. She does not focus on wrinkles or discoloration or blemishes, although her products address them, she invites us to take create a moment, an environment of gratitude and beauty. I have tried and loved The Problem Solver and The Clean Dirt as well as The Good Stuff. Each is an experience in addition to a product. You are left centered, serene, full of gratitude and by tending to yourself in this way, everyday, you begin to focus and appreciate your own sense of beauty. My routine currently is replete with Yuli products, but I would love to try The Blue Cocoon to balance the harshness of winter. Thank you, Britanie and May, for offering us this opportunity. My rituals include oil cleansing and heavy on the oil serums both day and night. I’ve only recently been using all ‘clean’ products over the past 6 months, and I’ve finally used up all my non-organic products once and for all – hooray! Oh man I have been lusting after May products for ages! 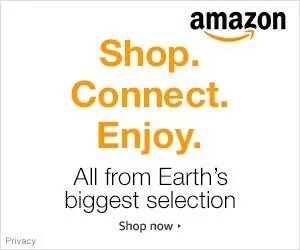 Sadly I have not been able to splurge on them and I keep hearing about how amazing they are. I would love love love to get to try anything out from her line. It would be like a dream come true for me. I have such sensitive skin that gets irritated and read very easily to the point that its embarrassing. Her products just sound amazing for sensitive skin like mine. Plus every time I read a description or review of May’s products I just melt they sound like a spa in a bottle! Who doesn’t want some of that! I use May’s Problem Solver mask every week on my jaw line. I love how it forces me to take half an hour to relax. My skin is dry, sensitive and prone to redness on the cheeks, so I can’t use the mask on the rest of my face. The Blue Cocoon would be perfect for my skin type! Thank you so much for doing this give away! I have extremely COMPLICATED skin (dry, sensitive, acne, rosacea, oily) you name it I probably have it. I am in love with May Lindstrom’s products.I just received her honey mud cleansing silk that has swept me off my feet. I am also a huge fan of the clean dirt mixed with manuka honey, it honestly does wonders for my skin. I am having so much trouble however trying to add moisture to my very dry and red skin without clogging my pores. This is my second time entering a contest to win the blue cocoon and I have got my fingers crossed hoping that I will be in luck the second time around. When my skin is feeling very parched I turn to the RMS beauty oil as my skin drinks this up in a second and does not clog my pores. I love that May’s products are all natural – I haven’t had the chance to try any yet (I’m planning to!!) as they sound amazing – I was especially pleased that you mentioned it was good for sensitive skin as I have quite sensitive skin – it gets irritated very easily. I would love to give these a go! I giggled tonight as I washed my face with gingersnap cookie dough – better known as the clean dirt. When done, I massaged my face with Youth Dew, looked in the mirror and was content with my complexion. Thata an amazing feeling. May’s products, specifically the oils, are little pots of magic. I’d love to try her Blue Cocoon. I have no doubt my skin will be thrilled. Thank you for this opportunity! I’d love to use this. It is really cold and dry in Minnesota and I think this balm would work wonders for moisturizing and keeping dry patches at bay. Happy Holidays everyone! And thank you Britanie & May for this lovely giveaway! 🙂 I have been waiting for reviews on the Blue Cocoon, the price tag is a bit intimidating- and I have never used a balm moisturizer before. The color of the balm is diffinately something different, especially for a natural product. As a new mama to a 15 month old, I strive to find natural beauty products, that are effective, and as a bonus May’s skincare makes you feel like you’re giving your skin a luxurious treat! A few minutes to pamper my skin a day is a God send! Currently I alternate with the Clean Dirt and Honey Mud. I use the Problem Solver mask once a week, or whenever I have time to remember. And moisturizer with Sodashi rejuenating lotion. I really would live to incorporate the Blue Cocoon or Youth Dew into my skin regime (when I can afford another skincare splurge). Thanks again! And good luck to everyone! I have only bought the Problem Solver, and so far used it just twice the last couple of weeks. I love the smell, the ritual, and even though I haven’t noticed any immediate effect on blackheads and clogged pores (my biggest skin woe), it really seems to calm and tone my skin. I love face masks, one reason being that it sort of forces you to relax while it’s on and you have a legitimate reason to sit down and just be, and the Problem Solver is my favourite. I’d love to try out other May Lindstrom products, and the Blue Cocoon would be great, mainly considering that my skin is severely dehydrated at the moment – and I have yet to combat it – and I have some inflamed spots. I’d give my mom some too for her stubborn eye eczema. This sounds so amazing and relaxing. I’m really interested in how it calms your emotional anxiety. I need that! I would love to try this because the ingredients look great! I personally do not own any May Lindstrom products, however, last weekend when I went to visit one of my cousins for vacation, she let me try three of her products for the first time: the honey mud, the problem solver, and the clean dirt. I tried a different one each day. The honey mud is the first one I tried and let me just say, it smells AMAZING! After I washed off the mask, my face felt so clean and smooth. My skin felt so even without any bumps or anything. The honey smell lasted for awhile but I definitely did not mind. The second one I tried is the clean dirt. After I rinsed off the clean dirt off my face, my face also felt very smooth. I didn’t noticed too much of a difference compared to when I used the honey mud but I did notice that my face had a natural glow to it after using this product. The last product I experienced with is the problem solver. I left it on for about 40 minutes before I washed it off in the shower because I figured it was going to get a little messy. After about 20 minutes of the mask on me, I felt it starting to sting my face a little. It wasn’t painful or anything, it just felt a little tingling. My face definitely felt as though I had Botox on where I could not move my face because the mask tighten your face. After I rinsed it off, my face felt amazing. I noticed that my face had a more even skin tone to it and it was completely smooth! My face just felt so healthy and refreshed afterwards. The Problem Solver and the Honey Mud were definitely my favorites. My skincare routine usually consists of washing my face in the morning and evening with RMS beauty’s coconut oil and it seems to work on my face pretty well. It doesn’t make my face too oily or dry. I would love to try the blue cocoon beauty balm because my skin is also very sensitive. Sometimes my skin gets irritated with some products I use and it stays inflamed for about less than two weeks, which seems way longer sometimes. I try to only use natural products and just recently, I slowly started buying natural makeup from RMS beauty ( I only have 3 products so far). I would certainly like to see May add a face lotion or sunscreen lotion to her line of products. Something for the skin to use after the masques.